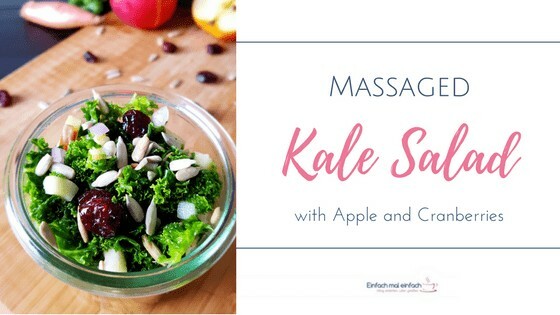 Massaging my kale when I can’t even remember the last time I got a massage myself? It seems utterly redundant to give your greens a special treatment at this stage in their life but this one is actually more of a treat for you. If you like the taste of raw kale but never really cared for the scratchiness of its curly variety, then you will love this. In this article, I’ll show you how adding the small step of massaging raw kale will transform an otherwise coarse and rough salad into a soft bowl of green happiness. The recipe for this massaged kale salad is simple and easy to follow and – hold on to your seats – actually much loved by at least some of my kids!